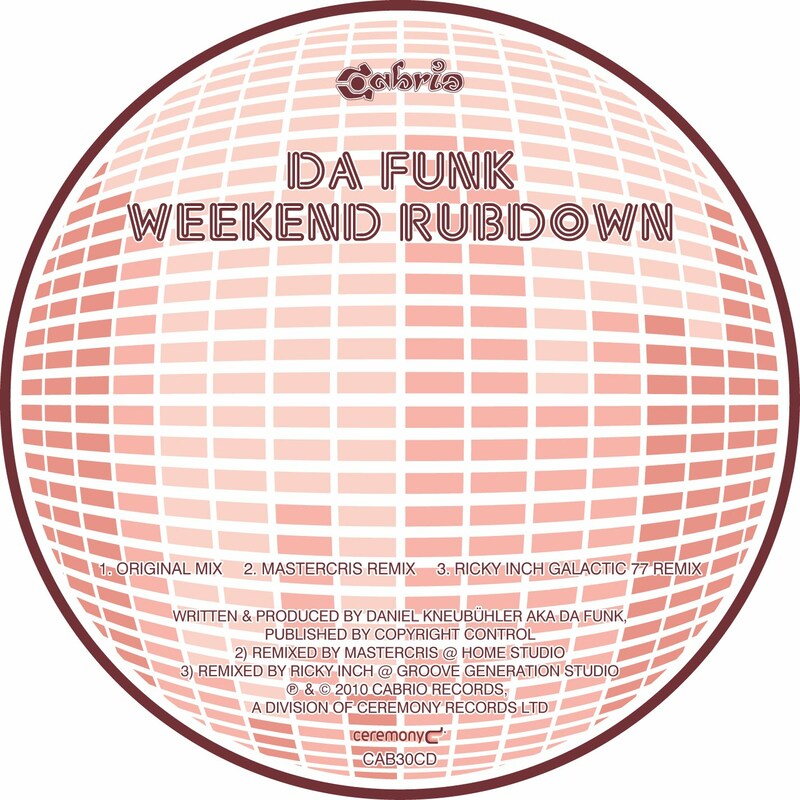 A pretty straightforward slab of instrumental house here, in what for Da Funk is a slightly more big room style than normal… but not in a horribly cheesy way or anything. It’s just big and chunky a a tiny bit proggy. Weekend Rubdown in its Original form is all dramatic, building synths and steady, pulsing bassline: it’s got White Isle written all over it. Mastercris’s remix takes us slightly deeper, and then the Ricky Inch Galactic 77 Remix goes deeper still and flirts ever-so-slightly with nu-disco. All told, a package that’s worth checking, with Ricky Inch’s rub getting my vote. If we were voting, that is. Out: Tomorrow (July 29), officially, though it’s been available as a Beatport exclusive for a few weeks. 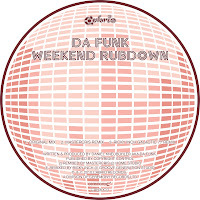 About: Da Funk is the boss of the excellent Acryl Music label, but this actually comes atcha on Dave Storm’s Cabrio imprint, who are based in Estonia. Evening all… gonna keep this short and sweet cos I’m not really in the mood, for various reasons I won’t bore you with… still, the show must go on eh?! 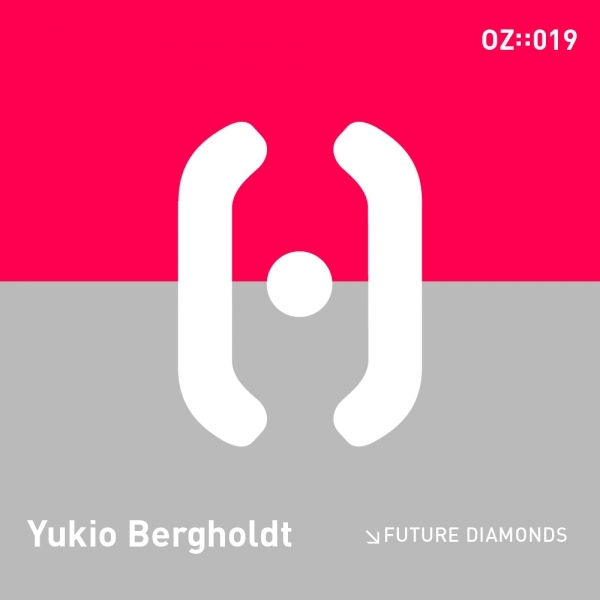 So on to Future Diamonds, which is the latest from Ooze Recordings. 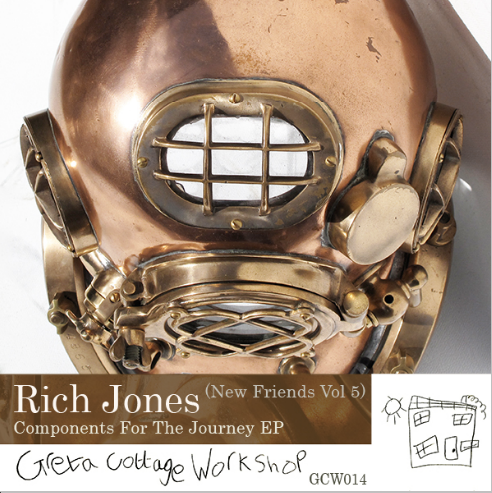 It’s another very deep number, although this time more from a deep techno/minimal rather than a deep house perspective. It’s quite blippy and glitchy, and we’re definitely talking warm-up/comedown fodder rather than a floor-filler (except maybe in specialist minimal clubs?) but s’good. Not my favouritest release of the year or anything, but good. About: This is the 19th release from Ooze, who are based in Wolverhampton and who seem to cover quite a broad spectrum of house, techno and prog… but their tracks are always worth a listen, at least! Find ’em online here. 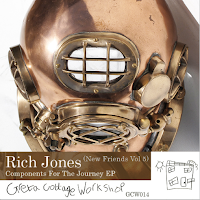 Not sure I’ve featured anything from the Greta Cottage Workshop label on here before… they send me various bits n’ bobs but it’s usually been a bit too much on an arty/weirdy downtempo/leftfield tip for me. This EP though is more in a slo-mo house kinda vein… it’s slow, it’s mellow and it’s so laidback it’s horizontal, but it’s house (of sorts) all the same methinks. Just when you thought it couldn’t get any deeper than the Anton Lanski record below! So yeah, four tracks, all of ’em definitely aimed at post-club listening, but all round it’s an EP that’s definitely worth checking. Rounding out the EP is Shake It Up, another pop-dance offering, this time featuring the near-falsetto (female) vocals of Neo Joshua. One for the summer BBQs and Brand New Heavies fans. 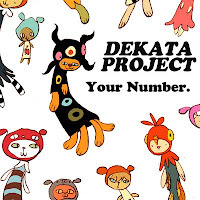 About: I’ve told ya about Dekata Project before… but here’s the website if you missed it. I’ve bemoaned* a few of Andy’s more recent releases for going too far down that noodly kinda avenue where ‘soulful’ = ‘a bit wishy-washy’. No such complaints here. Instead, The Plan is a deep-as-you-like deep houser, with a spoken vocal from some black dude about police harrassment sitting atop crisp beats and more of those luvverly pads we just can’t get enough of. The beats in question are kept minimal on the brace of Andreas Saag mixes, or are more rolling on the Rurals Mix; the latter also features some of those dreamy wah-wah’d jazz-funk geetars that have become something of a Compton trademark in the past coupla years, and so would be my choice for late-night listening. Out: Good question. Now-ish, I think, but they didn’t specify an exact date. About: This isn’t on Peng for once but rather on an Australian label called Deepermotions, who I’ve not come across before… BUT they’ve had stuff out also from Matt Bandy (of This Is Why We Dance – The Record fame) and, while they don’t seem to have a website as such, they HAVE got a Soundcloud page where you can HEAR THIS FOR YOURSELF. Hurrah! I wasn’t sure I was gonna review this cos it’s a bit more proggy than I’d normally go for… only then iTunes happened to wander onto it the other night while I was doing something else, and it really got under my skin. There are two tracks, Sultans In Wind and and Ein Sonntag Im Tanzcafe, with two mixes of each. And probably the reason I wasn’t grabbed immediately is that this is the kind of slow-burning, dreamy fodder that needs to be heard in full, to really appreciate it. Actually, to REALLY appreciate Sultans In Wind, you’d probably want to be in a field or big dark room somewhere, feeling a little ‘altered’ circa 4am as it came pumping out of a very large rig. Just close your eyes, forget the world, forget the people, forget your name… get lost in the music, baby. Yeah. Ein Sonntag Im Tanzcafe, meanwhile, is like the same kinda thing, if Georgio Moroder and The Grid had collaborated on it. Remixes come from Gabriel Le Mar and Shabu Vibes, respectively, but neither does anything that different; never mind, cos this is still tough, driving, epically-inclined house done the way it should be. About: This is only the second release on new German label Spielstaub. Find out more and HEAR THIS at their MySpace. 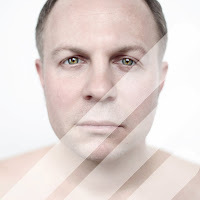 Anything new from Marc Romboy’s Systematic Recordings is usually worth checking, and so it is here with this three-tracker from Gorge. The three tracks are called Houseflies, Time Flies and Humming Fireflies, and operate largely in what I guess you’d call the tech-house arena. Houseflies is yer basic percussive chugger and doesn’t do much for me; Humming Fireflies is better, a more flowing affair with some nice old-skool keyboard stabs. But what’s winning it a coveted TIWWD reviews slot is Time Flies, which puts snippets of jazzman chat over swung beats and deep, meandering keys… this is the one for the deep house floors, with a distinctly west coast kinda feel. About: Gorge runs the labels 8-Bit and Katchul and has provided remixes for Solomun, Chelonis R Jones and Steve Lawler, among others. This single follows on from a recent album called Mood, apparently… there’s a profile of him on Resident Advisor, and here’s his MySpace. As for Systematic, find them here. A simple two-tracker here from Fresco Records, a label I’m not 100% sure I’ve come across before though this would appear to be their 28th release. Tough, techy house is the order of the day on A-side Hey Ya itself, which should keep floors chugging along nicely. B-side The Dub Lesson, meanwhile, is in a similar vein but slightly sparser, and reminds me of Strictly Rhythm’s trackier output circa 1990-91. It does have a certain skank to it, as well… insofar as a tech-house track can, anyway. About: Apparently Bass Kleph is one of Australia’s top 10 DJs… who knew? He’s also prone to wearing singlets, which is never something I’d advise personally but there you go. Anyway, you can find out all about him at his website or MySpace. Or you can find out more about Fresco by clicking here. 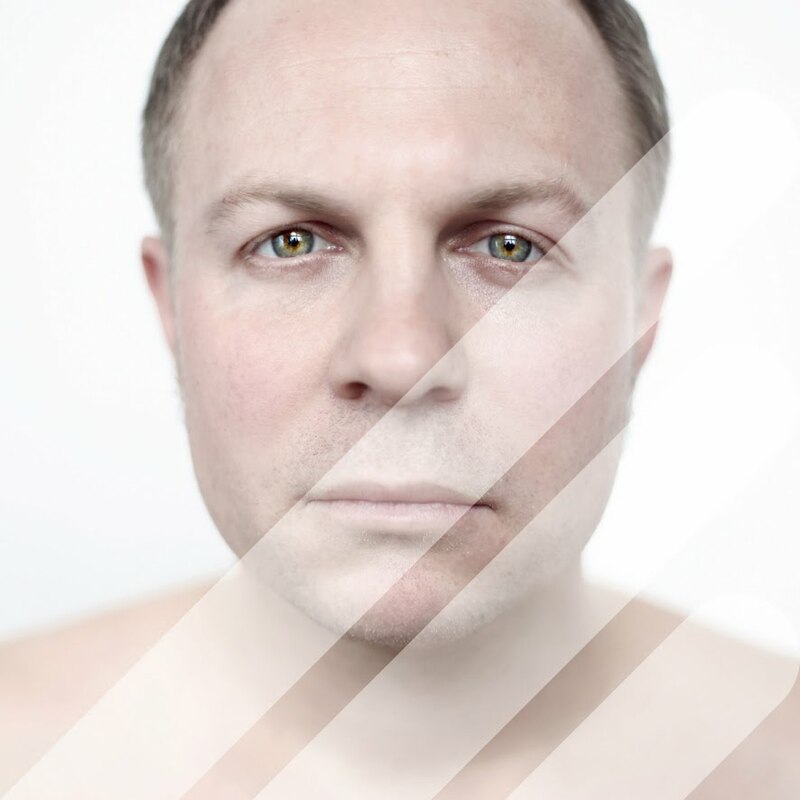 A male voice speaks, telling you not to worry about the future, it’s your time, over a backdrop of squelchy 80s-style bass and pads that echo off into forever… It’s Your Time is a proper floataway late night number and no mistake, guv. It’s accompanied by a Deep Dub, which isn’t particularly any deeper but does lose most of the vocal, and a Master Dam Greg Cilhune Remix, a very different, percussion-led workout for bigger dancefloors… but I’d stick to the original if I were you. About:This is on Conya, part of the Clubstar family out of Germany. 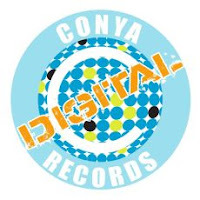 Their actual website appears to be offline at the mo’ but here’s the Conya MySpace.